Without you, the Invest Like a Boss podcast wouldn’t exist. We wouldn’t have an audience to talk to, share our knowledge with, or a reason to spend countless hours researching the latest investment info, finding the best guests, or bringing you weekly podcasts. But we need your help in spreading the word and leaving a review on the iTunes store! The more people we can reach, the more people we can help, and it starts with you! As a thank you we’ll be sending everyone who reviews the podcast a free bonus, and enter you in a raffle to win a $25 Amazon gift card each and every month! Get twelve chances to win for every submission! All you have to do to enter the monthly drawing is to subscribe and leave a review in the iTunes store! Here are step by step instructions on how to do it! 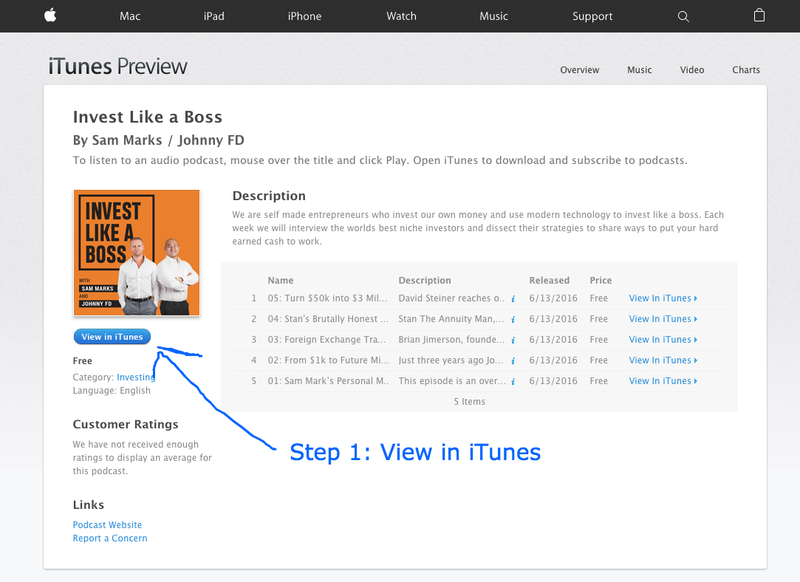 Then simply send a screenshot of your review to hello@investlikeaboss.com . Include your country so we know which Amazon store to give the gift card to. That’s it! You’ll be automatically entered to win a $25 Amazon gift card, each and every month for the next year! That’s twelve chances to win! Gift Card – Every month we’ll send one reviewer a $25 Amazon Gift Card! Private Group – Every reviewer will get a special invite to our Boss Lounge private member’s group! Insider Access – Get an inside look at our personal portfolios, investments and trades not available to the public! 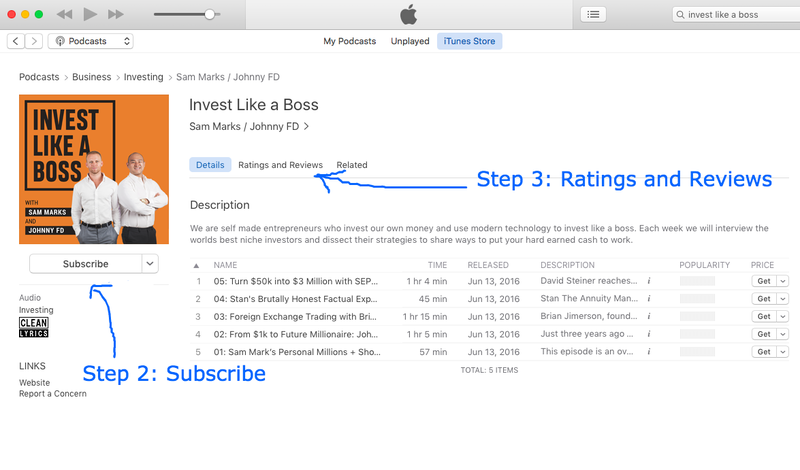 Subscribe – If you haven’t already please subscribe to the Invest Like a Boss Podcast on iTunes or your favorite podcast app on your phone. Share – Tell your friends about this podcast by clicking the share button! 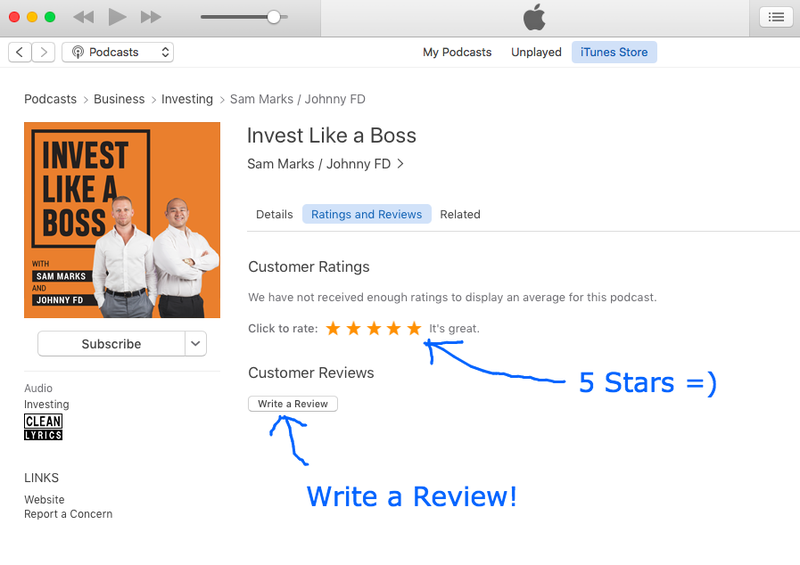 Screen Shot – Do us a huge favor and leave a review of the Invest Like a Boss podcast on the iTunes store. Email us a screenshot of your review to hello@investlikeaboss.com and include your country. 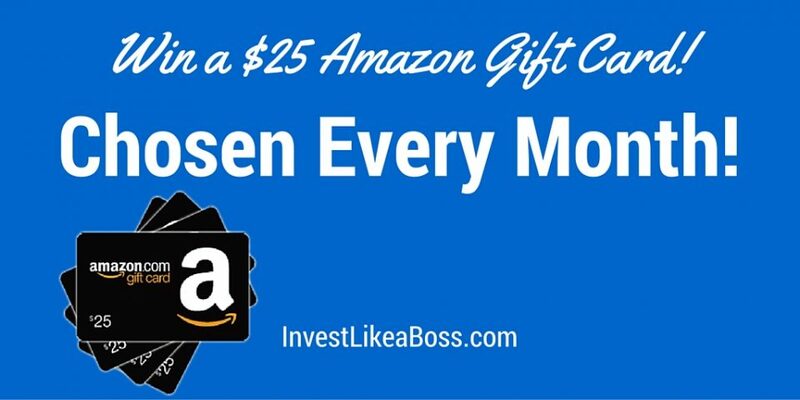 If you don’t want a chance to win the $25 Amazon Gift Card you can still get access to insider info and the private Boss Lounge by simply signing up for our email list. The reason why iTunes reviews are so important is it’s the single best way for us to reach a bigger audience and share our knowledge so even though it takes a few minutes to do, we really appercaite it.